If you tell someone that you mountain bike and that you live in York County the first thing they ask is if you have ridden at Rocky Ridge. Rocky Ridge is part of the York County Parks system. 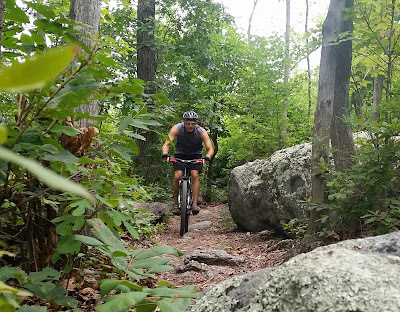 For me, Rocky Ridge is usually my last choice for mountain biking...mainly because of my familiarity with it and how crowded it can get (the park is open to mountain bikers, horse back riders, bird watchers, hunters, hikers, & families picnicking.) But to be honest, if I lived three or four hours away, Rocky Ridge would be one of those places I would take time to drive to. 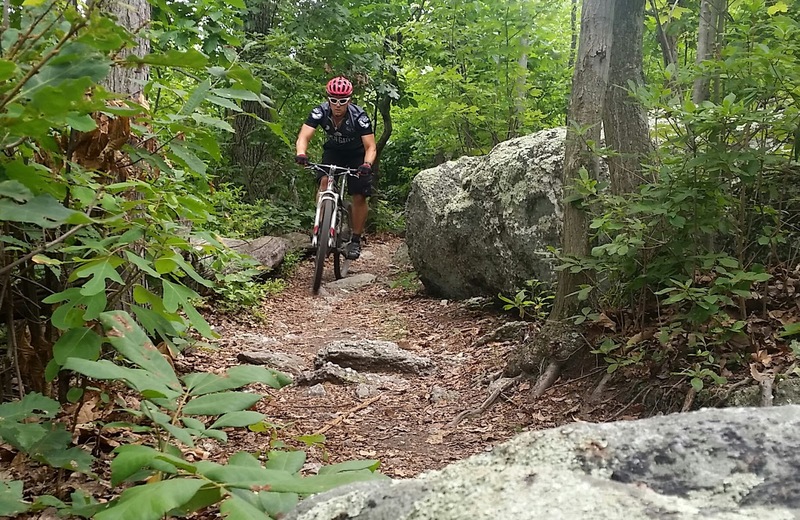 It is a cluster of trails that are truly rocky and technical. If you are looking for smooth single track this is not the place. If you are looking for something flat to ride...this is not the place. 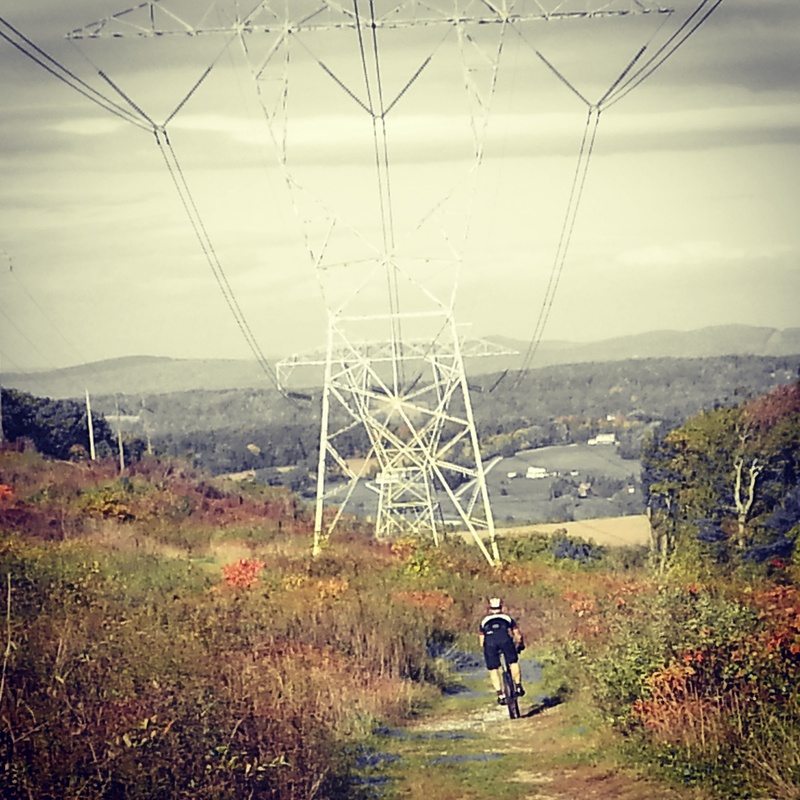 On average, you will climb approximately 100 feet per mile ridden. In my book, that is a tough mountain bike ride. If you are looking for a nice downhill to end your ride...you won't find one. All three main lots are located on top of the ridge and the trails go down the North and South sides of the ride. You will, however; find amazing views at Rocky Ridge. In particular, on the northern side of the ridge, near the lower parking lot, you have an amazing view of northeastern York County and Lancaster County. In the distance you can see Ski Roundtop, Three Mile Island nuclear power plant, and PPL power plant. 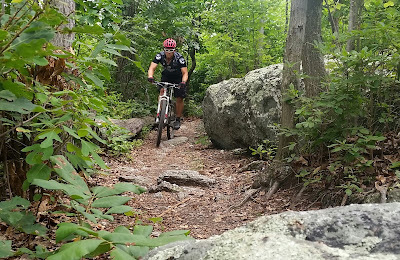 Today Chris Keller and I began our ride at Rocky Ridge in the lower lot. Most of the trails at Rocky Ridge are numbered...and the numbers usually (but not always) correspond with hiking and riding difficulty. For example...Trail 2 is somewhat easy and on top of the ridge. Trail 9 is not easy and descends the ridge and comes back up. 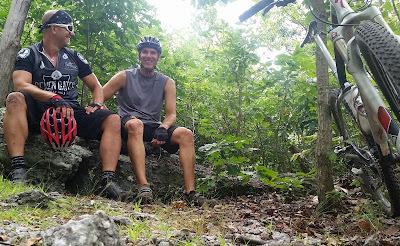 Chris and I wanted to do one good climb and then maximize our fun. We descended down trail 9 and came up trail 8. In my opinion, very fun. We then rode the most popular trail at the park, Rusty Chair. It is a rocky, twisty single track on top of the ridge. Let me tell you something about Chris Keller. Not only is he one of the nicest and kindest men that I know...he is an amazing mountain biker. He rides things that I just cannot. It is always a treat to hang out with him. 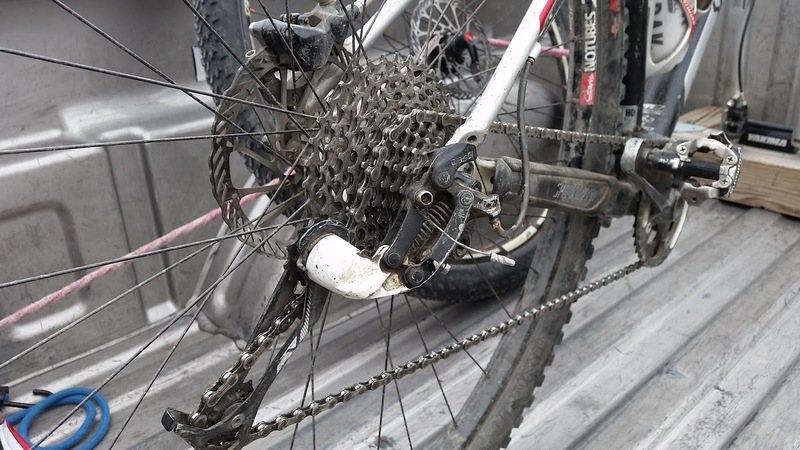 No...a rear derailleur is not suppose to be twisted in that direction. decided that it had enough and completely broke. 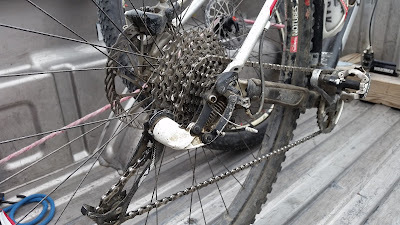 Fortunately, it happened just as our ride was ending and we only had to walk a half a mile back to my truck. Looks like this isn't something that I can fix at Orchard View Bicycle Club (my garage.) Time to make a Monday morning trip into Gung Ho Bikes.